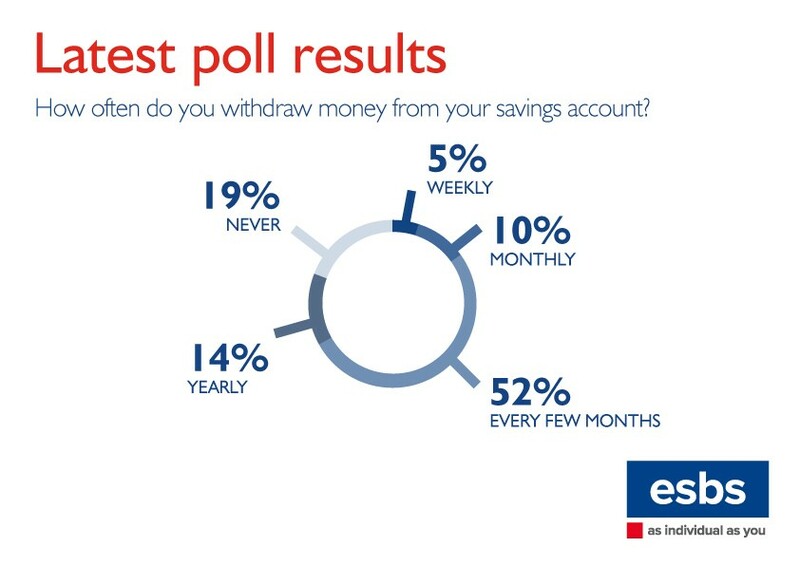 On average, how frequently do you withdraw money from your savings account? This was the question that we asked people in our monthly poll throughout September. 52% of those who took part said that they took cash from their account once every few months. While 10% of participants said that they make withdrawals every month, a further 14% said they were more likely do so on a yearly basis. 5% said they withdrew money each week, while 19% said that they never take money from their account.